Here are the final 16-20 energy saving tips for the fall. While there are certainly many more, these 20 should be enough to get you started on saving some money for the upcoming winter. And no matter when or where you start, doing something will help. 16) Looking for a new computer? Seriously you should consider getting a laptop. Today’s laptops use 50% less energy than a desktop when plugged in and 1% of the energy when running on batteries. Need more monitor space. Buying an Energy Star monitor and plugging it into your laptop will still save more energy than a standard desktop and monitor. And be sure to set it on an energy saving sleep mode. 17) Reduce the chemical waste. Use chemical free non-toxic toilet cleaners. While they won’t totally eliminate the need to clean, you can reduce your chemical cleaners usage 50% to 90% when using ChemFree toilet cleaners. They utilize a simple physics process of magnetism to make the mineral molecules slippery so that that won’t to the bowl. And they really work. 18) Stuff your fridge until it is satisfied. While it may not be hard to keep a full refrigerator during the holiday season, the more you can keep it full the less energy you will use. Food retains cold better than air does. But remember, you still need some space in there to circulate the cold air. And while your are thinking about the fridge, take a minute to vacuum the condenser coils. They can accumulate a lot of dust in a short period and make your refrigerator work harder than it has to. Same holds true for your freezer, but you don’t have to worry about the circulation. 19) Going small saves big. Use your microwave to reheat and cook foods when you can. It is faster and more efficient than an oven or cook top and can save up to 70% in energy usage. And use a toaster oven for those small meals. It can use a third to half as much energy as a typical full size oven. 20) Make the switch. Nearly everyone has made the switch to CFLs and are saving 75% on energy compared to incandescent, but have you considered LED’s? Today’s LED bulbs use about 50% less energy than their comparable CFL for the same amount of light. Plus, LED’s are instant on (no warm up), are mercury free and last 25000 to 50000 hours. They are still more expensive than CFLs, but their prices have been dropping dramatically in the last 18 months. Winter means spending more time indoors. Even if you are a winter outdoor enthusiast you still hang out a lot inside the house, So why not think about saving some energy with a few of those things you take for granted everyday. They all add up, even if you can implement just a couple of these ideas. 11) Take a look at your appliances. How much coffee do you drink? 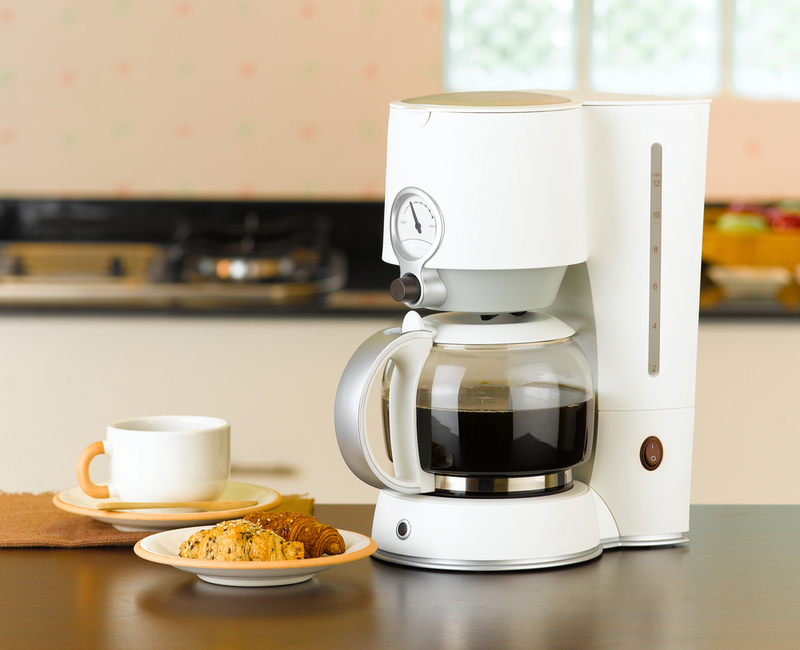 Most of us need our morning coffee, but are you fixing a cup or two every morning in a 10-12 cup coffee maker? Consider getting a smaller coffee maker. They use less energy and brew your coffee faster. One that drips directly into a thermal carafe, or to-go mug will not require a second heating element for the pot, saving even more energy. Measure the amount of water in the container with a measuring cup and determine how many gallons of water you collected. Multiply that amount by 4 and that will give you your gallons per minute flow rate (if you happened to collect .75 gallons of water your gallons per minute flow rate would be 3.0 GPM (0.75 x 4 = 3.0 GPM). 13) Let’s not flush it all away. Did you know that only 3 percent of the world’s water is fresh and only a third of that is available for us to use? 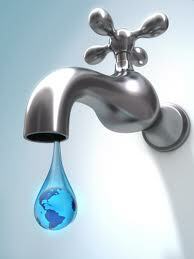 It’s ironic that we are flushing much of that right down the toilet consuming 40% of the water we use in our homes. Maybe it’s time to consider installing some water saving devices or replacing your older toilets with an HET (high efficiency toilet) that can save about 60 percent, or more per year. Even if you decide not to make that switch, make sure your toilets are not leaking. Leaking toilets waste can waste hundreds of gallons of water a day. 14) Take care of the cracks. The air between the inside of the house and the outside can add up to 10 percent to your heating or cooling costs for every one degree difference. Caulk and weatherstrip where needed. Infrared sensors used to be expensive gadgets that only professionals owned. But you can buy one for less than $50 and to look for cold or hot spots around your house. 15) Have a party. Radiators and space heaters a terribly inefficient when compared to natural gas and heat pumps to heat large spaces. And their use emits more greenhouse gases. A fun way to warm up your home is to invite some friends or family over. Every visitor in your home is the equivalent of adding a 100 watt heater. Unfortunately, this is not a good long term solution. Share your energy and water saving ideas with us by commenting. It is not often that you can really get something for nothing, but with just a little effort around your home you can reduce your heating and energy costs (read: save money) easily and without spending a penny. Here is the continuation of our 20 energy saving tips 6-10. 6) Heat your house for Free. 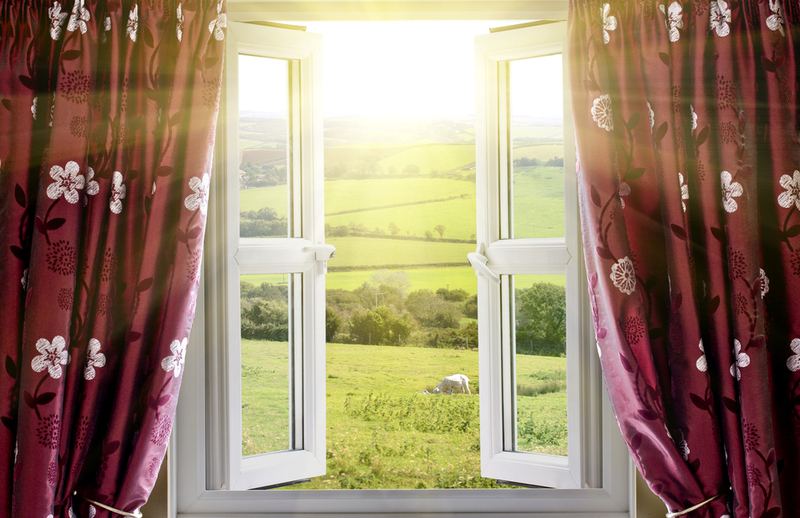 No this isn’t a promo from the utility company, but you really can heat your house for free on sunny days by opening the drapes and letting the sun pour through on the sunny side of the house. Just make sure to close them at dusk to help insulate and keep all the heat inside. Blinds and shades provide another layer of insulation to help keep the heat in too. Use ‘em if you got ‘em. 7) . Shut your trap. We all like the warmth and ambiance of a crackling fire on a cold night, but traditional fireplaces are huge energy losers, especially when you are already heating your house by conventional methods. That warm air in your house has just literally gone up the chimney causing your furnace to work extra hard to keep a constant temperature in your home. Unless configured with an energy saving blower, or other device it is really best not to use the fireplace at all. And when it is not being used make sure the damper is closed. Even closed, many dampers have small leaks. Just sit by the fireplace on a cold day and you can feel the air rush up the chimney. If you don’t use your fireplace at all, block off the chimney with a rigid piece of insulation that fits snugly into the area. 8) Cooking up some heat. While no one recommends you heating your house with the oven (not only can it be unsafe, but it is also very expensive) you can leave the oven door open after cooking to let that residual heat warm your kitchen. It may even give off enough heat for you to adjust your thermostat. 9) Improve your circulation. If you have ceiling fans in any of your rooms, be sure to flip the little switch on the motor to have the fan blowing air “up”. Blowing the air toward the ceiling in the winter helps circulate the warm air to the rest of the room. Keep the fan on low to continuously circulate the air in the winter. Conversely, in the summer, you want the air to blow down and in effect create a wind-chill effect, but don’t keep the fan on if you are not in the room. 10) Close unneeded vents. Do you have rooms in your house that you don’t use, or use very little? Make sure that you close the air vents in those rooms so that you are not heating them. That will allow more warm air to flow to the rooms that need them and not make your furnace have to work as hard. Even though it is still in the mid-eighties in some parts of the country, it won’t be long before fall and winter set in. Annually, we try to remind everyone about things you can do around your home to get ready for the fall by publishing a list of the top 20 Energy Conservation tips. We gather them from various utilities and government sites, and switch them up from year to year, some you have heard of, but most bear repeating. This issue we will deal with the first five, not in any specific order. 1) A couple of simple, no cost solutions. Conservation is the first step to saving energy. Wear socks and a sweater. Maybe not for everyone, but this can seriously reduce your energy consumption and save dollars. Lowering your thermostat by just 1 degree and save 3% on your energy use. 2) Spend $20 to save $20. Using a water heater blanket if your water heater is more than 5 years olds can save 5-9% on your annual water heating bill due to the reduction of heat loss. After your initial investment you will save every year. 3) Install a programmable thermostat. Set it to lower the temperature at night and whenever the house is unoccupied. Lowering your thermostat by 10 degrees at night can reduce your heating bill by 10 to 20 percent. If you work during the day, or if there is no one at home during the day, we suggest a thermostat that has 7 day settings. This will allow you to automatically set the thermostat back when you leave the house and turn back on just before you arrive home. Then repeat the set back steps for the evening when you go to bed and wake up. 4) Inspect your furnace filters. They probably need changing anyway from the summer a/c, so might as well get that taken care of now. Clean filters allow your fans to work easier and can save 5-15% on energy costs. To save even more, consider buying reusable filters that can be periodically rinsed of the dust. While they can be a bit cumbersome to clean (we do it in the shower) they will save you money and minimize the landfill impact. There is a Smartphone add out called Smoke Alarm Ninja that will remind you to change the filters and your smoke alarm batteries too. 5) Get a humidifier. If you don’t have one already, get one. Moister air feels warmer, so a humidifier can help you feel comfortable even though your thermostat is set at a lower temperature. The proper humidity level can be subjective though. You want to feel comfortable, but if there is too little humidity in the air your body tends to want the furnace temp to be higher. Too much humidity and you risk mold or mildew. If it is very cold outside, too much humidity will start former layers of ice inside of non-thermal pane windows that can result in rot. The ideal humidity is somewhere between 30-55%, but you will need to finesse this. Doing these 3 things on a Saturday morning can save you thousands of gallons of water and $100’s per year. And the best part is you can do them all yourself for about $60 in under 2 hours. There are probably going to be some days where there is nothing to do but watch TV. How about using that time to make some energy efficient changes around your home. We have 3 ideas that can cost less than $60 but save you hundreds of dollars a year. And you can install them all in less than 1/2 day. 1. Replace your showerhead(s). Cost $15-20 Time to install: <15 minutes or less. Standard showerheads have a flow rate of 2.5 Gallons per minute (GPM). With a water saving lower flow showerhead with a 1.5 or 1.25 GPM showerhead you could save thousands of gallons of water per year without sacrificing a good shower. Niagara EPA approved Water Sense showerheads are a good solution. 2. Replace your bathroom faucet aerator(s). Cost $2 Time to install: <5 minutes or less per faucet. Let’s face it, do your really need a torrent of water coming out of your bathroom faucets when all you usually do is wash your hands and brush your teeth? Standard faucet aerators use 2.2 gallons per minute. You can replace them with a .5, 1.0 or 1.5 GPM faucet aerator and cut your water use nearly 80%. 3. Convert your toilet to dual flush. Cost $26-35 Time to install: <1 hour or less. Long common in Europe and Japan, the concept of dual flush for your toilet is finally starting to take hold in the U.S. Flush one way for solid waste and the other for liquids. So instead of spending $150-250 on a dual flush toilet (plus the plumber costs) you can install your own dual flush conversion kit on your home toilets. The One2Flush Dual flush conversion kits can save the average family of 4 nearly 8000 gallons of water a year, $180 or more in savings depending on where you live. Plus, as an added benefit when using a dual flush kit it keeps another toilet from going to the landfill. Dandelions are a pain, but there are environmentally friendly ways to get rid of them. It’s that time of year when the dandelions start popping up and taking control of your yard. What do you do? As a kid, we use to pull them out of the ground, hold one under our chin, and if our chin looked yellow (naturally it would from the reflection of the flower) that meant we liked butter. We’d (weed) believe anything. But dandelions don’t usually bother kids, but some adults, that’s another story. So how do you handle them? Get the jug of roundup and blast them? Cover your yard with weed killer? Or do you just live with them? I won’t belabor the point (too much) about the damage that weed killers and pesticides do to the environment. I think we all know they are hazardous. But what else is there to do about that scourge of dandelions? 1) Eat them. No they are not for everyone. But many people do, and there are recipes that people say are beyond delicious. Check some out HERE. Then there is always my wife’s uncle Ken that makes dandelion wine. Horrible, but somebody drinks it. 2) Mow them down. And do it often. Of course you will want to do it with a reel mower if you can. The trick is to keep ahead of the blooms before the seed heads blow all over the place. 3) Dig them out. This is the old standby. And there are tools that make this job a little easier. I find it to actually be a little therapeutic as long as it doesn’t look like it is going to take an entire day to get the job done. 4) Boil them. Another very low-tech method is to boil water and pour it on the plant and scorch it to death. 5) Naturally kill them. Use a homemade non-toxic solution or an organic weed killer. The acid from vinegar creates a very good weed killer. Although results can be mixed, and it does not kill the root. There are also plenty of “organic” weedkillers hitting the markets these days. Natures Scavenger is one company whose products are certified for organic gardening, so they are probably a good bet. Corn gluten meal is another organic way to handle dandelions.Corn gluten is a pre-emergence herbicide, so it works by inhibiting the development of small feeder roots. It does well against germinating seeds only, it won’t affect established plants. It can be applied in and around lawns, bedding plants, trees, shrubs, & vegetables. Corn gluten, like any pre-emergence, works best when applied to bare ground before any weeds sprout and should be readily available. 6) Burn them. Perhaps not the most eco-friendly way of getting rid of dandelions, but a weed torch is quite effective. 7) Salt them. Not to eat, but to kill. Put a tablespoon of table salt at the base of the plant and that should do the trick. But be careful as salt can kill surrounding grass as well. 8) Raise livestock. Rabbits and chickens love dandelions and they are nutritious for them as well. Of course livestock brings its own share of problems with it. Have other suggestions? Share them with us. We do our best to answer your questions about dimmable compact fluorescent bulbs. Why do my dimmable CFL lamps flicker at times? Due to the low power consumption of a dimmable CFL (especially at low levels) they are more susceptible to natural power line variations which can be caused by appliance loads, air conditioners, copiers, and alike devices during their normal on/off cycle operation. What happens if the lamps are dimmed below 20%? The use of CFL lamps at a permanent 20% light level or lower affects the filament material used to warm the lamp prior to the high voltage ignition of the fluorescent. The filament material will burn at a high rate during this type of operation causing the lamp life hours to significantly drop in comparison to the rated hours voiding the warranty. Why won’t my new dimmable CFL lamps dim? There could be several reasons for the lamps not dimming; an incompatible dimmer switch, faulty dimmer switch, incandescent lamps left on the dimming circuit, use of lamps of different shapes and/or wattages on the dimming circuit and potentially an insufficient burn-in period for the CFL lamp. Is there an initial burn-in period for all your dimmable CFLs? An initial burn-in period of 100 hours is highly recommended for better performance when dimming the lamps over their life span. Why do my CFL lamps glow pink at startup sometimes? The pink glow is from the lack of free mercury in the CFL since it is all absorbed into the amalgam. The amalgam material is used in CFLs to achieve the best lumen output at high operating temperatures and it requires time to warm up during the start up period. 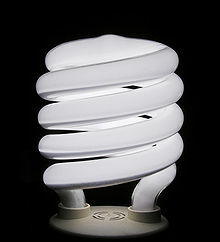 The CFLs also have starting amalgam to effectively shorten the pink/dark period to 15 seconds or less. After 100 hours of CFL use the pink/dark time will be minimized. Do dimmable lamps dim exactly like incandescent lamps? 1) They will dim down to 20% of light output vs. zero for incandescent. 2) Electronic components do not respond in the same manner as a heated incandescent filament therefore there will be a difference in visual operational characteristics. Do dimmable lamps work on ordinary incandescent dimmers? Yes – Dimmable lamps are designed to work with regular 600 watt rotary or slide incandescent dimmers that are currently available in the market and were manufactured after 1995. How can I tell if a dimmer is not compatible with a dimmable lamp? Generally speaking, digital, programmable electronic or remote control dimmers are not compatible. Additionally, high wattage dimmers are typically incompatible because of different voltage regulation and manufacturing tolerances. Illuminated (glow-in-the-dark) dimmers are usually incompatible with dimmable CFLs. Can E3 Living recommend a compatible dimmer? We have found that a standard 600 Watt max, mid-grade, non-illuminated analog slide dimmers function well. We recommend the Apollo Dimmer by Neptun which is guaranteed to work with their dimmable compact fluorescent bulbs. Additionally, we have found the Lutron Skylark 600 watt and the Lutron Diva 600 watt incandescent dimmer controls provide good dimming results. Does the performance of dimmable lamps rely on the quality of a dimmer? would ultimately damage the circuitry in the dimmable lamp. enough current going back to the dimmer for it to work correctly. How do you properly use dimmable lamps? No – Simply move the dimming level up till the lamps turn on then dim down to desired level. Can dimmable lamps be used in 3-way lamp sockets? Can dimmable lamps be used with a touch lamp? No – Touch lamps are actually controlled by an electronic switch. How many dimmable lamps can be used on the same dimmer? that wattage number to outfit the fixture. The followng examples are a rough estimate only. NOTE: Since every dimmer is manufactured differently there may be some variance in these numbers. If you have additional questions please let us know and we will add them to the list and answer you directly. Please feel free to contact us. A few tips on saving money on air conditioning. You are going to start to see these headlines and that means more air conditioning for your home, more stress on your A/C unit, and more money for the energy used to run it. Here are a few tips to help minimize those costs and insure that your air conditioning is running efficiently. your a/c has to work harder to do its job. This causes your a/c to run more and ultimately costs you. Use your shades during the day. You probably spent a lot of money on the shades in your home. Shaded windows will keep your rooms cooler and allow your a/c unit to run more efficiently. It’s worth the investment. Conservation is always an efficient remedy. For each degree you set your thermostat dial below 78 your energy use increases by about 8 percent. So, for example, if your monthly electric bill in the summer is $100, you can save $8 a month for every degree you set your thermostat above 78. Get a set-back thermostat. Unless you have a perfect memory to turn your thermostat up a few degrees before your go to work, or leaving the house for an extended period of time, you are wasting money. Programmable thermostats can take the guess work out of it if you have central air, or a timer will work for your window unit. Don’t cool the outdoors. Seal air leaks with caulking and weather-stripping. Add insulation around air conditioning ducts and in the attic if you have one. As an added bonus, you will be all set to save more on your heating costs come winter time. Use your ceiling fans, or install one if you can. If you can tolerate a little bit of heat, a ceiling fan operating for half that day will cost you about $1-2 per day, while your a/c unit can cost $25-30. Just remember to switch the rotation of your fans to run counterclockwise to push the cool air down. Return the fan to clockwise in the fall when you start heating your house. Reflective window film really works. Tinting your windowsA great home improvement idea is to install home window film or tint to the insides of your windows. Not only can it help keep your house cooler in the summer, but also warmer in the winter. Worse case scenario. Sometimes a/c units just give out and are no longer efficient. Consider replacing your unit with an energy-efficient model. Most reputable a/c dealers will try to sell you an energy efficient model. They are usually more expensive upfront, but can pay difference themselves in a few years with their efficiency.